Give to your hair vitality and strength! 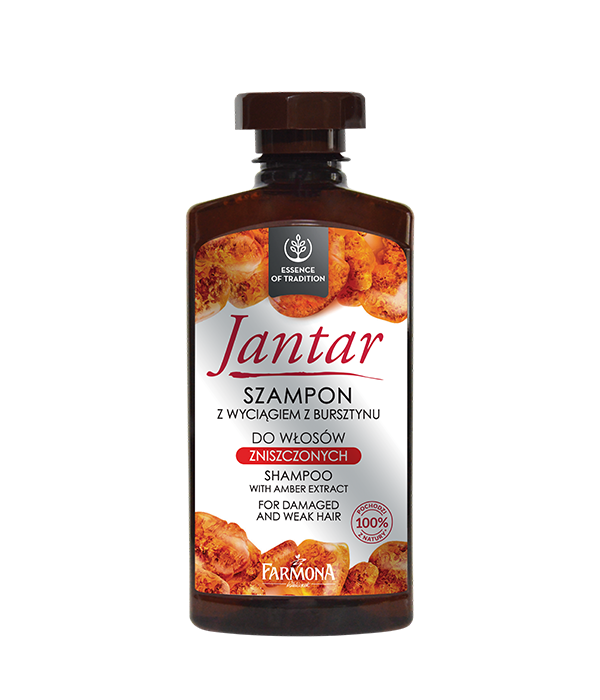 Jantar shampoo is based on a verified formula which has remained unchanged for many years. It is a result of a long tradition of using the unique properties of amber. It contains extracts of amber, a complex of vitamins A, E, F and Inutec – a natural prebiotic – with excellent conditioning properties. 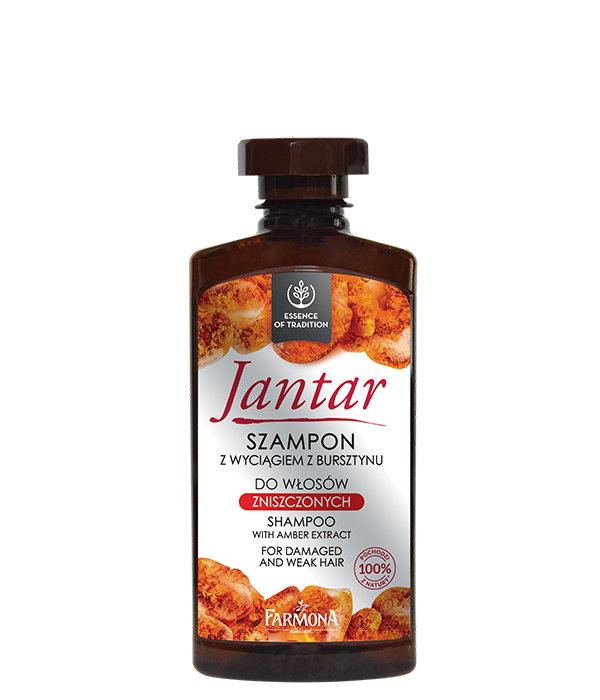 The amber extract nourishes, strengthens and smoothes the hair, at the same time prevents its oiliness. As a natural sunscreen it protects against the harmful effects of the environment. After washing, the hair becomes silky, soft, shiny and manageable. 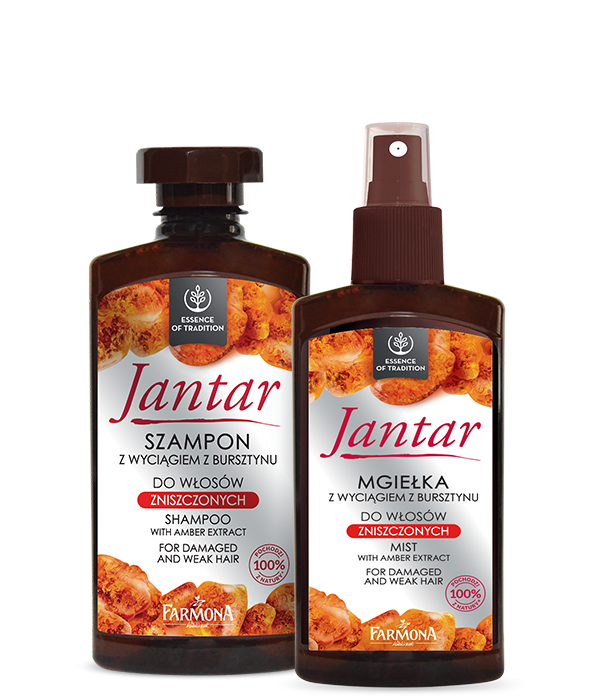 Confirmed results: strong, pretty-looking, naturally protected, full of vitality hair. Apply a small quantity of shampoo on wet hair, and gently massage until foaming. Then rinse. Amber extract, vitamins A, E, F complex, Inutec - a natural prebiotic. Aqua (Water), Sodium Laureth Sulfate, Cocamide DEA, Cocamidopropyl Betaine, Sodium Chloride, Polyquaternium-7, Panax Ginseng Root Extract*, Arginine, Acetyl Tyrosine, Arctium Majus Root Extract*, Hydrolyzed Soy Protein, Polyquaternium-11, PEG-12 Dimethicone, Calcium Pantothenate, Zinc Gluconate, Niacinamide, Ornithine HCl, Citrulline, Glucosamine HCl, Biotin, Propylene Glycol, Amber Extract*, Inulin, Polysorbate 20, PEG-20 Glyceryl Laurate, Tocopherol, Linoleic Acid, Retinyl Palmitate, Methylchloroisothiazolinone, Methylisothiazolinone, DMDM Hydantoin, Citric Acid, Disodium EDTA, Parfum (Fragrance), Limonene.